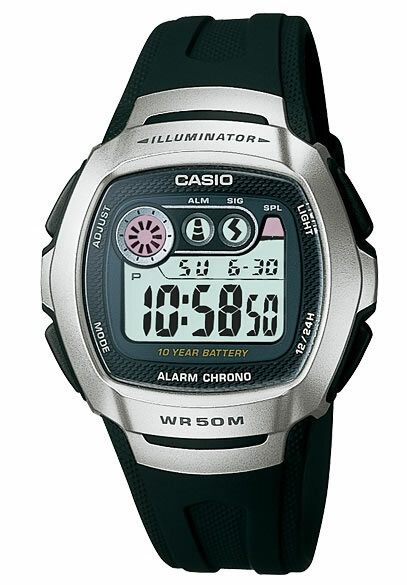 Electronic watch. Dual time. 1/100-second stopwatch. 50-meter water resistance. Resin Glass. 50-meter water resistance. Case / bezel material: Resin. Resin Band. Backlight illumination. Color: Black with silver. Chronogram.